Can God's Love Save Anyone? 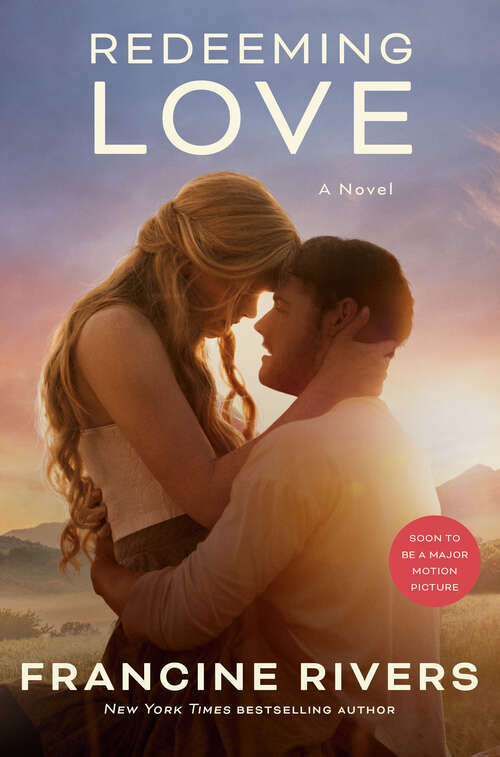 Bestselling author Francine Rivers skillfully retells the biblical love story of Gomer and Hosea in a tale set against the exciting backdrop of the California Gold Rush. The heroine, Angel, is a young woman who was sold into prostitution as a child. Michael Hosea is a godly man sent into Angel's life to draw her into the Savior's redeeming love. This remarkable novel has sold over a million copies and is among the top twenty on the ECPA fiction bestsellers list for four years running. A six-part study guide, suitable for individual use or group discussion, is included in this bestselling novel. ALSO AVAILABLE: Now own this beloved classic in the keepsake hardcover edition!California's gold country, 1850. A time when men sold their souls for a bag of gold and women sold their bodies for a place to sleep. Angel expects nothing from men but betrayal. Sold into prostitution as a child, she survives by keeping her hatred alive. And what she hates most are the men who use her, leaving her empty and dead inside. Then she meets Michael Hosea. A man who seeks his Father's heart in everything, Michael Hosea obeys God's call to marry Angel and to love her unconditionally. Slowly, day by day, he defies Angel's every bitter expectation until, despite her resistance her frozen heart begins to thaw. But with her unexpected softening come overwhelming feelings of unworthiness and fear. And so Angel runs. Back to the darkness, away from her husband's pursuing love, terrified of the truth she can no longer deny: Her final healing must come from the One who loves her even more than Michael Hosea does...the One who will never let her go. A powerful retelling of the book of Hosea, Redeeming Love is a life-changing story of God's unconditional, redemptive, all-consuming love. Story Behind the Book"Writing Redeeming Love was a form of worship for me. Through it, I was able to thank God for loving me even when I was defiant, rebellious, contemptuous of what I thought being a Christian meant, and afraid to give my heart away. I had wanted to be my own god and have control of my life the way Eve did in the Garden of Eden. Now I know to be loved by Christ is the ultimate joy and fulfillment. Everything in Redeeming Love was a gift from the Lord: plot, characters, theme. None of it is mine to claim. "From the Trade Paperback edition. Francine Rivers skillfully retells and elaborates on the Biblical story of Hosea. Every thing is in great detail that really makes you feel for the protagonist and what each of them are feeling, without being crude in the subject matter. Reading this book you get a greater appreciation and understanding of the limitless quality of God's love, how you should love and be loved by your spouse and how you should strive to love others in a way that points them to Jesus Christ. This is the best piece of fiction and the most impactful book I have read in a long time. It took me less than two days to finish, even with the length, because it was so good that I couldn't put it down.